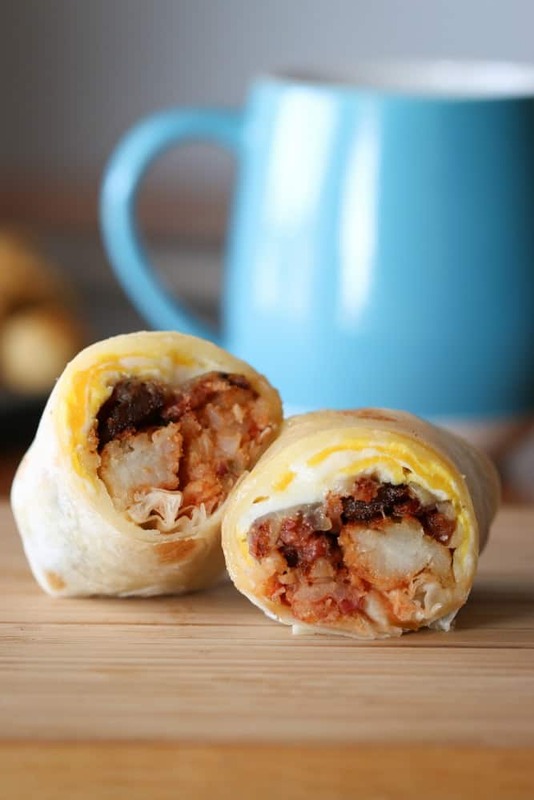 These Tater Tot and Bacon Breakfast Burritos are much thanks to a housewarming gift from my friend Aaron at Go Lb Salt. He dropped by the Simon Ranchito with BACON!!! His dry cured savory herb bacon was, perhaps, the best housewarming gift ever. So, obviously, it meant that bacon was on the menu for Saturday morning breakfast. Ryan is a sucker for a good breakfast burrito so when I told Aaron my plans, he made the brilliant suggestion of using tater tots with the bacon in the burritos. Aaron has all the good ideas. To follow more of his good ideas, follow him on Instagram. I kept these relatively simple, just a few awesome ingredients to get your weekend off on the right foot. Clearly, they are effective because Ryan’s currently assembling furniture like it’s goin’ out of style. Ahhh, the power of the breakfast burrito! I used Trader Joe’s flour tortillas. Obviously, if you’ve got a favorite tortilla brand, use those, but I like theirs because they’re pliable enough for rolling, but firm enough to hold up to all of the fillings. Then, I fried up a pack of Aaron’s dry cured savory herb bacon as bacon bits, baked off some standard Ore-Ida tater tots, and cooked a few eggs over-medium. I also had shredded sharp white cheddar and a mild salsa on the assembly line. 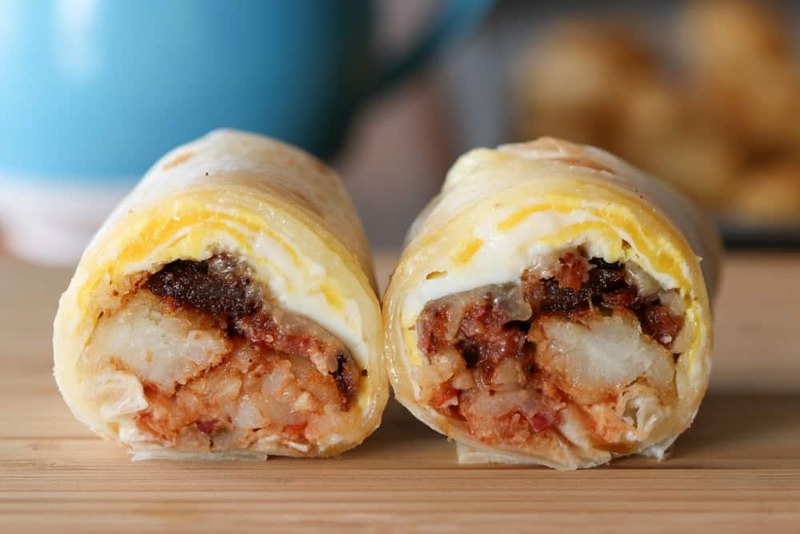 Then roll it all together and you’ve got an amazing breakfast burrito. 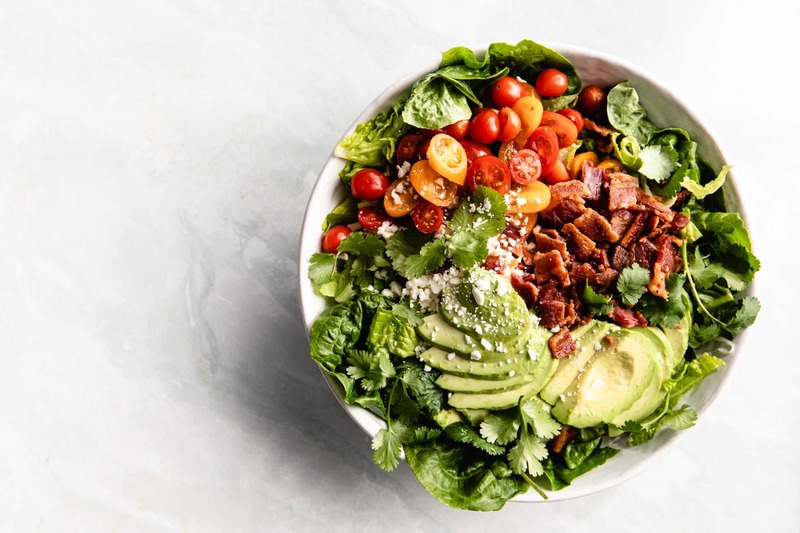 The crispiness of the bacon and the tater tots adds a little crunch-factor and the savory flavor of Go Lb Salt bacon is outrageous. It’s a meal to fuel your weekend! 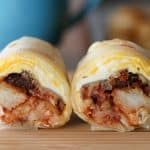 A simple breakfast burrito made with bacon, white cheddar, egg, salsa and tater tots. 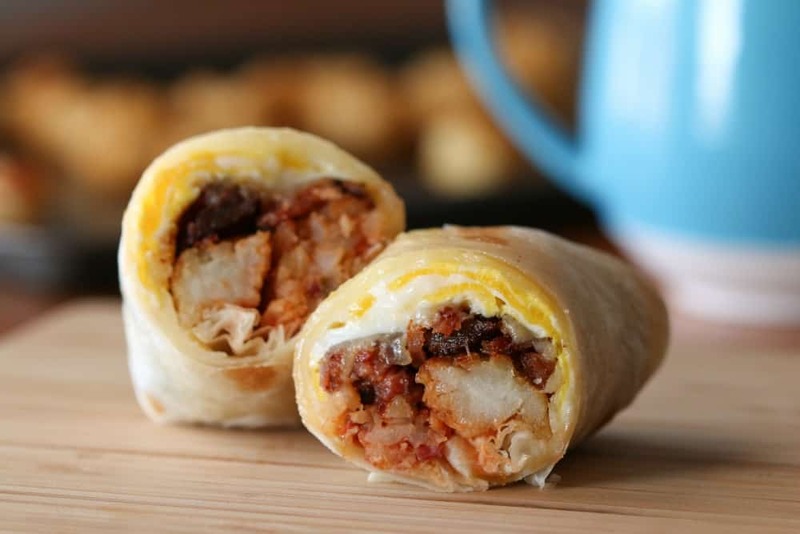 Assemble your breakfast burrito by sprinkling 1/2 oz of cheese on a tortilla, then top with the egg, then more cheese, then 1/4 of the bacon, then 1 – 2 Tbs of salsa and then 5 tater tots. Roll up all together in a burrito by gathering in the ends toward the middle and then rolling up to the seam. Serve with extra salsa or hot sauce. I'm Joanie! 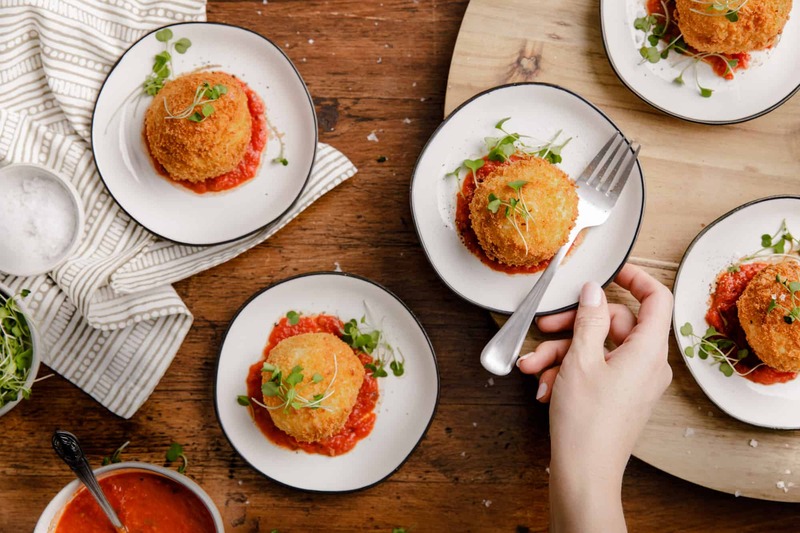 A pro food photographer and recipe creator, I'm dishing up quality recipes that look beautiful and taste amazing. 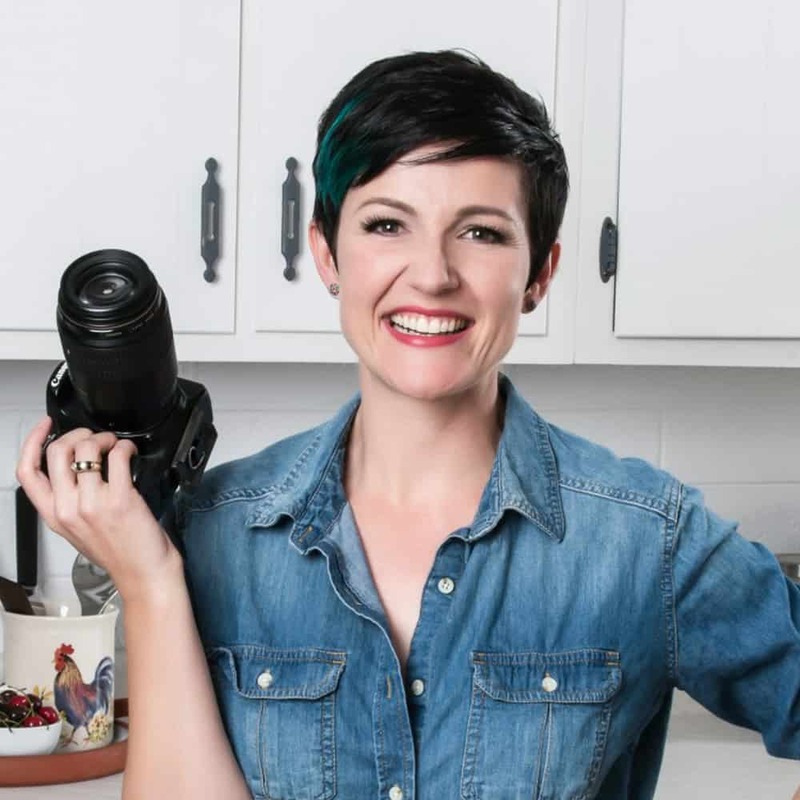 Joanie is a professional food photographer and recipe developer. 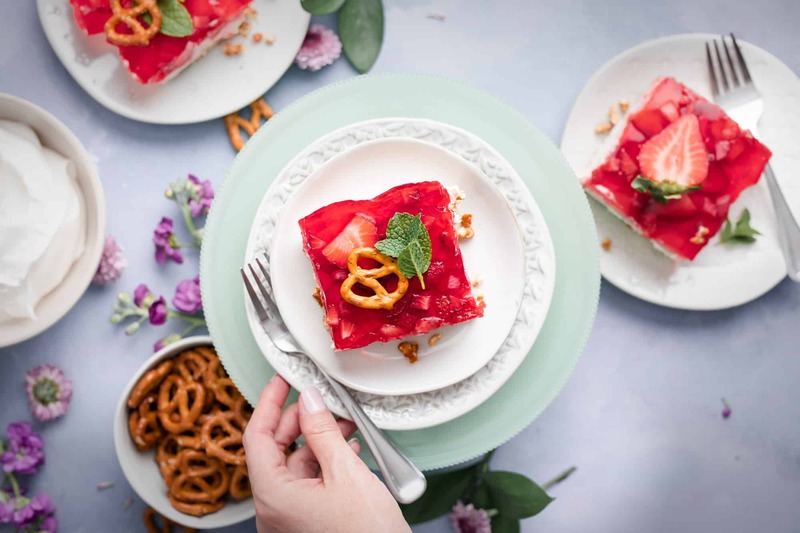 She creates drool worthy recipes and images for national brands and her work has been featured on TODAY, the Food Network, Shutterstock, Arizona Foothills Magazine and Food52, among others. You can also find her sharing weekly videos about food photography on YouTube at The Bite Shot. Thank you for sharing the reciepie of this. i think we can also use very ingrediants for it to make wonderful breakfast.